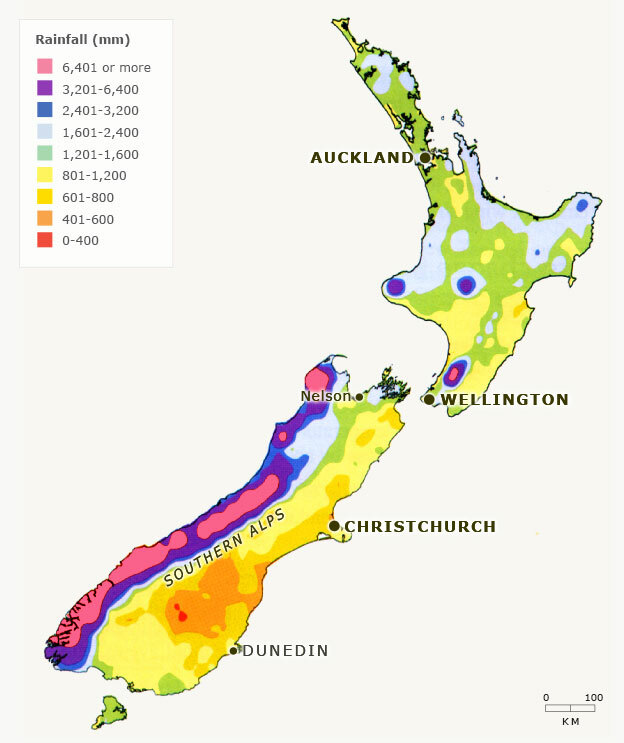 This map shows the mean annual rainfall around New Zealand, measured over a 30-year period. The South Island has both the wettest and the driest parts of the country within 100 kilometres. Highest rainfall occurs along a narrow zone over the Southern Alps, as well over mountains in north-west Nelson and scattered mountainous areas in the North Island.